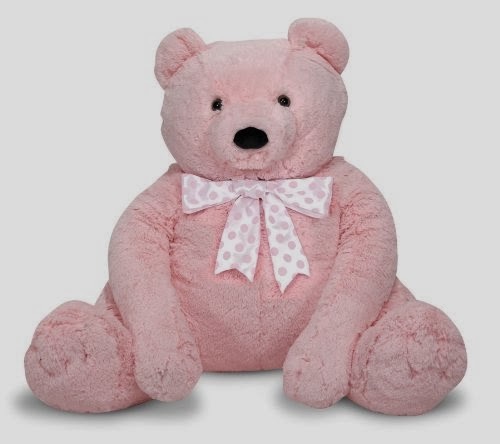 The Melissa & Doug Jumbo Pink Teddy Bear is a plumply-pink and stuffed with love, this oversize snuggle buddy is the perfect accent for your bear lover’s room. Made of soft, furry material and quality construction this is a perfect forever friend. One lucky reader will receive a Melissa & Doug Jumbo Pink Teddy Bear. Sweepstakes ends February 10th at 11:59pm, open to US, ages 18+. To enter please use the Rafflecopter form below. Good luck. I like the hungry pelican. The Decorate-your-own Heart Bead Set looks like fun. i would love to have another JUMBO TEDDY BEAR!!! I love the rainforest floor puzzle! I would also like Webber Penguin with Baby Chick Stuffed Animal. I like the giant stuffed giraffe. http://www.melissaanddoug.com/draw-and-color-deluxe-art-set-for-kids-melissa-and-doug would be a nice item. I would love to also have the I love You Bear! I'd love to get the Standard Unit Blocks for my son (and husband). Would like to give my daughter the Deluxe Puppet Theater. I would like to gift the Hungry Pelican. I would love to get the happy giddy bowling set for my daughter! They have so many cool toys! I would love the giraffe! I would like to have the Victorian dollhouse!! This would be great for my soon to be one year old granddaughter! I love their wooden cars! My son would love them! I'd love the Take-Along Shape Sorter Baby and Toddler Toy! Anything that you can take in the car for easy transportation, is awesome. I would love the Seasons Puzzle set for my daughter (she just turned 2, but she loves puzzles)! I really need to buy her some more, she spends hours working on these! I love all the teddy bears!! I'd love to get the Monster Bowling Game for my little one. My child would love the Chomp & Clack Alligator Push Toy. I like the bear family dress up puzzle. I like the My First Paint with water in pink. Love the Slice and Bake Cookie Set - Wooden Play Food! Thanks for the giveaway! I would luv the Jumbo Brown Teddy Bear as well. Our Grandson would love the 100 Piece Wood Blocks Set. Thank you for another super giveaway opportunity. Please keep up the terrific blogging. A personalize wooden train set for my son. I would love to have the Happy Handle Stamp Set for my granddaughter, we could have so much fun with it. We like their wooden puzzles for preschoolers. Love the Standard unit blocks! I like the Puppet Theater. I would love to get the ballerina dress-up mix n match peg puzzle for my baby girl! So cool! I like the giant giraffe. My daughters would love to have the friendship stamp set and the giant giraffe. I love the chef puppet! I would love to get the spark shark kickboard for my son! Very cool! I love the giant giraffe and the wooden easel. The Wooden Shape Sorting Clock would be a great educational toy for my grandson. I would like the Nesting and Sorting Barns and Animals Set. I would love the animal stamp set for my niece! The Craft & Create Tape Crafts kit! OMG! I love all the giant stuffed animals & didn't realize that they had these! I would love to give each of my grandkids one of the giant stuffed animals. My daughter would be so happy to play with the Beeposh Sally Elephant Stuffed Animal. I really like the standard uni blocks. I would love to get the personalized Learn-to-play Piano! I would love to give the Penguin Giant Stuffed Animal for my daughter. I would love to get the polished petals bead set! I love the Giraffe Giant Stuffed Animal!! I would love to have the Victorian Dollhouse. I like the See and Spell Learning Toy for my 4 year old. I like all the scratch art kits. Those are so fun to do. I would love the suspend family game! That looks like so much fun! I like the Wooden Railway Set, for my grandson. The Upper & Lower Case Alphabet Puzzle looks fun & educational. the wooden stringing beads would be perfect for my niece! I like the Jenna 12" Doll - Mine to Love. I like the giant white tiger. i would get the Puppet Theater. I've always wanted their giant giraffe stuffed animal! Both of my children want a wooden easel, I LOVE Melissa and Doug's toys!! I love the baking cookie set. I am definitely getting the unit blocks on wheels for my daughter! The Cook's Corner Kitchen with FREE Let's Play House! Grocery Cans looks like hours of play fun!! 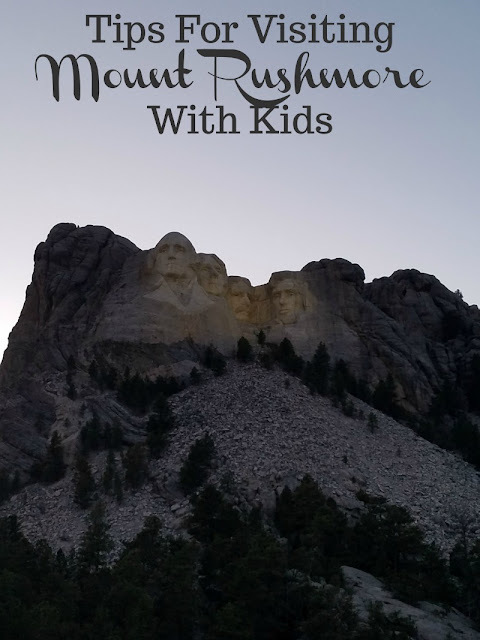 I would love to have the Trunkies for my grandchildren! I would love to have some of the triangle crayons for my son.